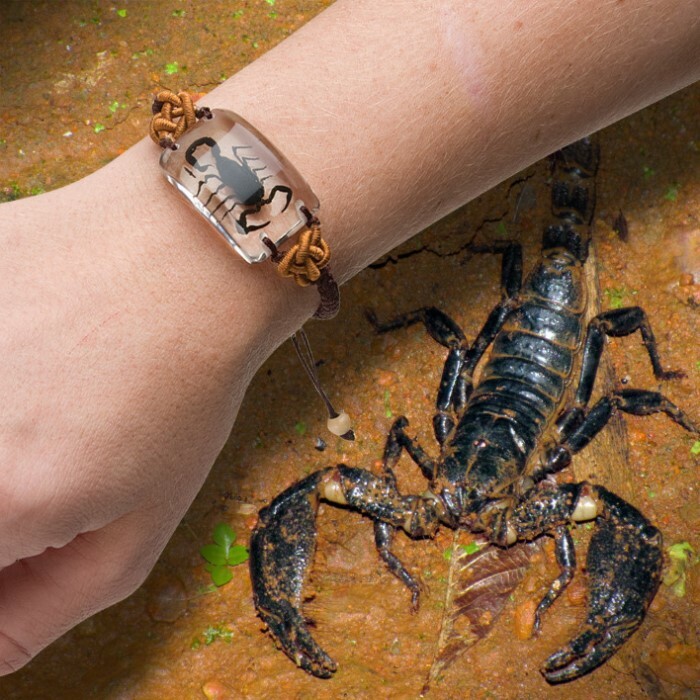 This creepy bracelet is less about "charm" and more about "squirm"! 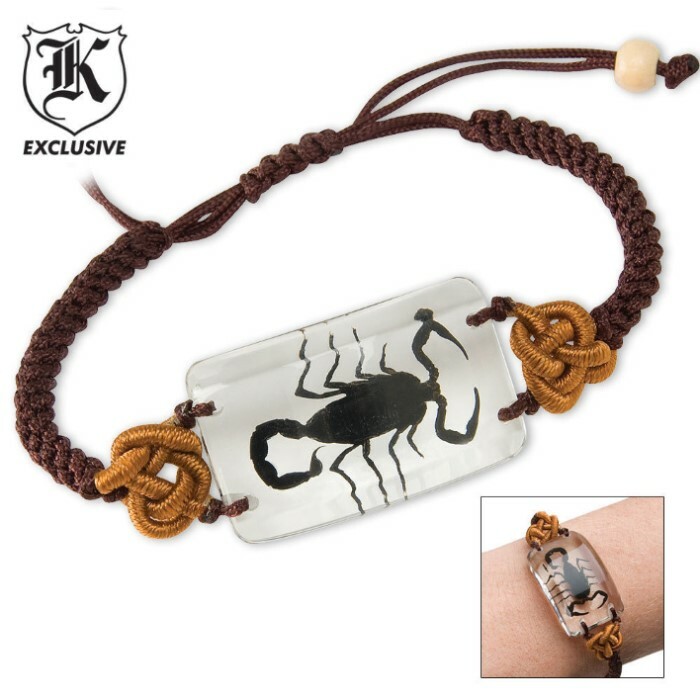 The unique and frightening charm on this bracelet is actually the body of a real black scorpion. The scorpion is encased in a pendant of clear Lucite acrylic resin measuring 1 1/4" x 3/4". The pendant is attached to a black cord and will definitely turn eyes when worn!